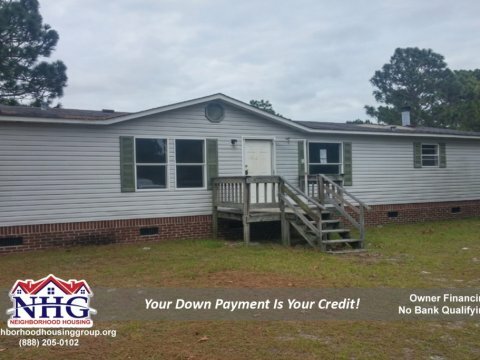 Owner finance this large 4 bedroom / 2 bath double wide! 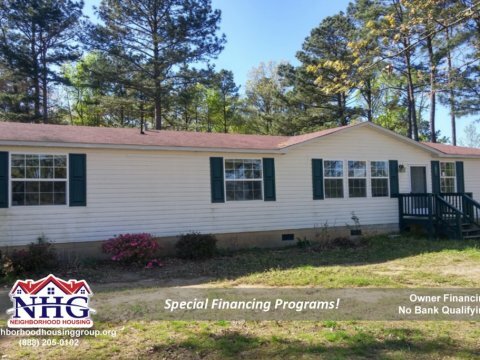 Nice Home Near The Water Special Financing Lined Up! LEGAL DISCLAIMER: Rent To Own refers to properties for sale with lease-option financing. This site does not charge for rental listings and is not a Pre Paid listing Service as defined by California Business and Professions Code 10167. 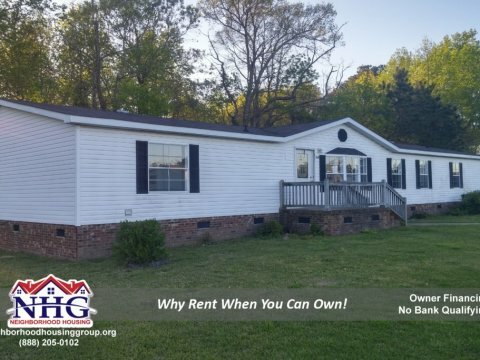 All properties are available until approval and closing of the purchase. All properties are subject to prior sale. All properties are sold in “AS IS” “WHERE IS” condition. This does not mean that there is necessarily anything wrong with the home. It only means that there will not be any repairs or improvements to the home prior to the sale. There will also not be any any guarantees, or warranties in regard to the condition or livability of the home. No statement anywhere, whether express or implied, shall be deemed a warranty or representation by Real Investments, LLC or its affiliates or officer or employees regarding the property. Pictures of the property contained herein may not be current and may not accurately reflect the condition of the property at any future date. Buyer should determine the condition of the property by physical inspection prior to purchase. We strongly encourage you to inspect your home prior to making a down payment. Square footage is estimated and your local municipality’s website will have square footage information.